At Dentistry Bliss, we are completely computerized, including the treatment rooms. This allows the use of computerized x-rays and digital cameras for diagnosis and treatment planning. These work stations are networked to our front desk to assure you fast, accurate appointment, billing and insurance information. We are proud that we are able to provide virtually all of your dental needs in our office. We are committed to offering advanced cosmetic and restorative dental services in a relaxing, esthetically comforting environment. We offer state-of-the-art technology, computer imaging, digital x-rays, and much more. Now, you can simply relax in the dental chair while a tiny sensor is positioned briefly inside your mouth. The sensor&apos;s chip is extremely sensitive to x-rays, therefore patients are exposed up to 90% less radiation than with traditional x-ray techniques. A highly detailed image is almost instantaneously translated onto our computer screen and can be easily viewed for educational purposes. On the spot, we are able to clearly and simply explain all the steps of any recommended restoration procedures. Because this helps our patients clearly understand the root issues behind their dental health, we are able to work together to determine the very best treatment options for each case. 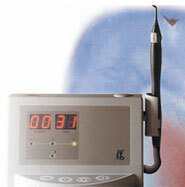 During your exam, we will use the diagnodent laser to help us with the detection of tooth decay. A harmless laser light scans tooth structure and detects subsurface decay. Even very small lesions are detected at the earliest stage, enabling you to protect and preserve the tooth substance. 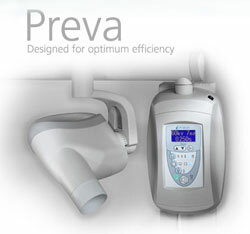 It has the unique ability to find hidden decay that if left untreated will result in further tooth destruction. We have incorporated the state of the art sterilization procedures into Dentistry Bliss. It provides patients and staff with complete protection from cross contamination. Weekly spore testing and daily inspections of our steam sterilizer, along with ultrasound techniques, cold sterilization and plastic film barriers over every switch, button and instruments panel allows us to conform to the highest degree set forth by OSHA requirements. We only use bottled distilled water for our patients. Self contained water reservoirs insure that quality of water being used during the dental procedure is pure. The staff is constantly improving and monitoring all areas of office cleanliness.